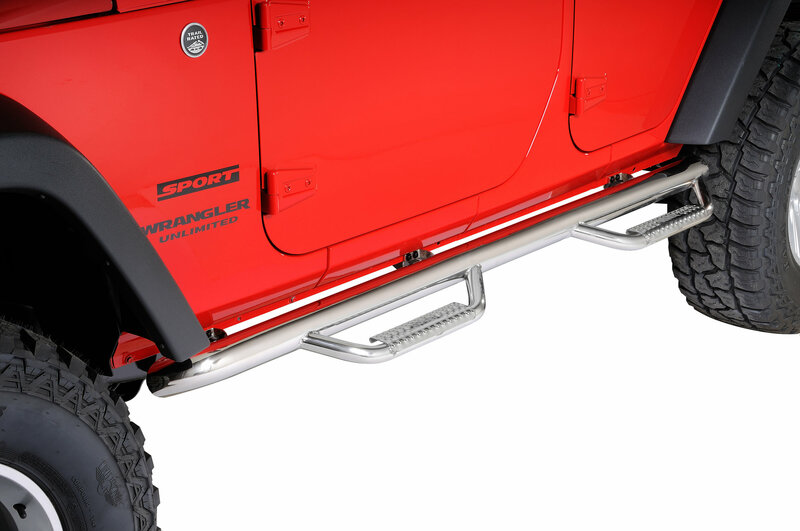 These wheel -to-wheel Nerf-Steps extend from front to rear tire and feature a bolt-on design that won't flex. 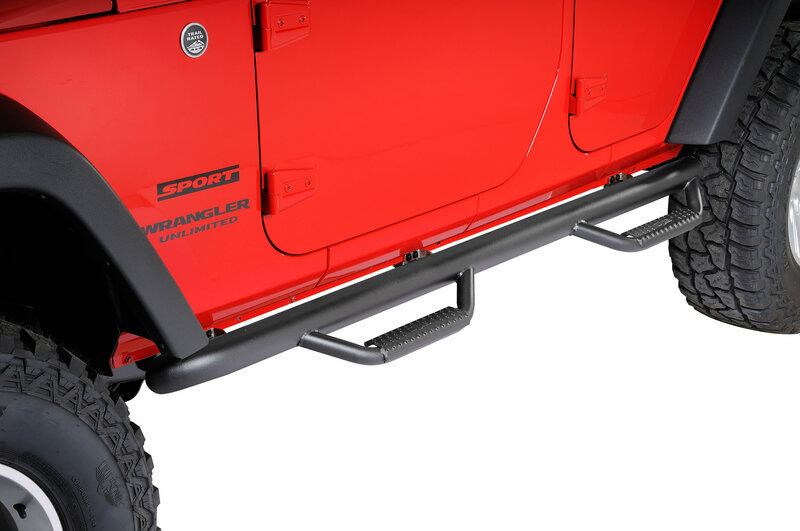 Built from 3" tubing, the solid one piece design contours the bottom rocker panel for a clean installation, while the patented drop step design allows for easy access into your Wrangler. 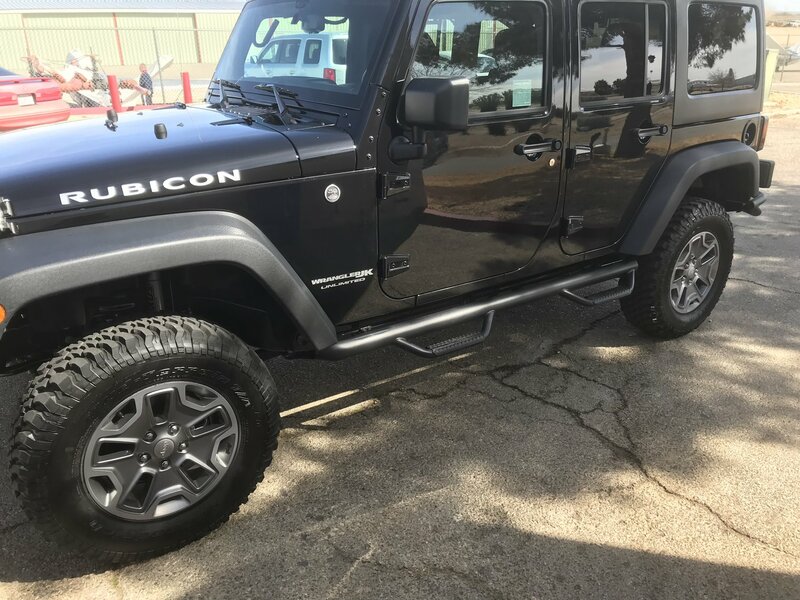 Innovative and patented hoop step system works with or without a body lift. Built from .084 wall 3 tubing with a weight rating of 465lbs. 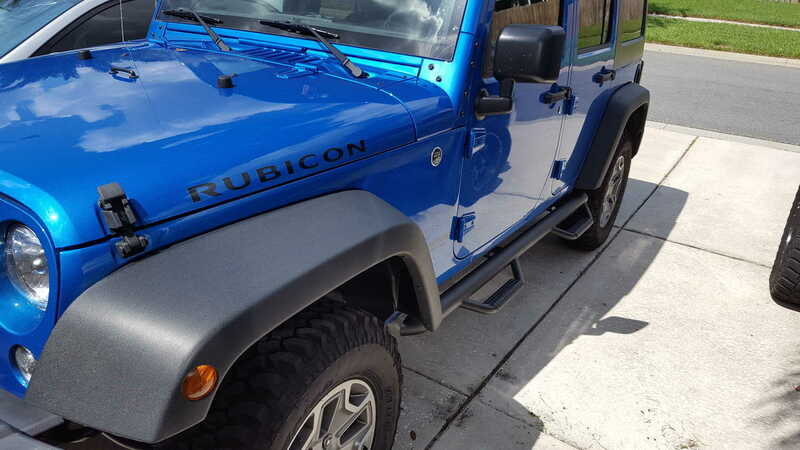 Impressed with the side steps when I first got them but after 3 1/2 years they're rusted out. how much lower is the step vs the main tube? its hard to tell in photos, it looks like it sits lower than center of the main 3" tube. is there some kind of spec sheet with dimensions? Hello, the step sits approximately 5" below the main bar. Thank you for your question.